In an age dominated by multimedia, it is more important than ever to reach out to people through as many channels as possible. Customers are encouraged to indulge in experiences using all of their senses meaning music has become an effective branding tool. 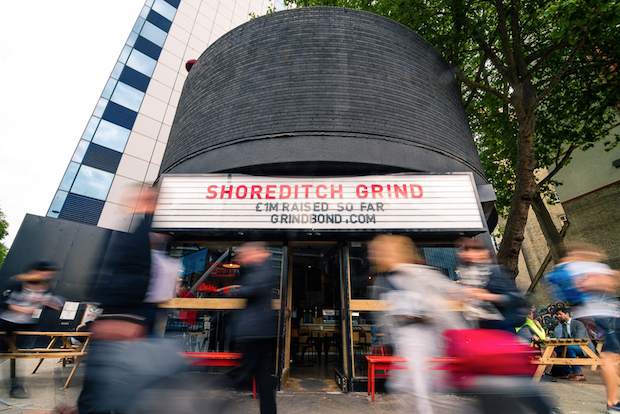 This week we chatted to Shoreditch Grind to find out how their staff have successfully incorporated music into their coffee shop. Customers are drawn not just to a product but to the whole experience that a brand offers. It is key that the music played not only depicts who you are, but also shows how you want to be remembered. 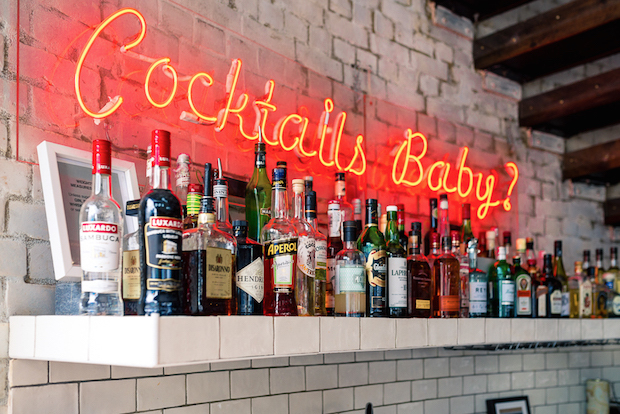 Music sets the scene in a bar and to our brand it has been essential. It lets customers know what you are about. 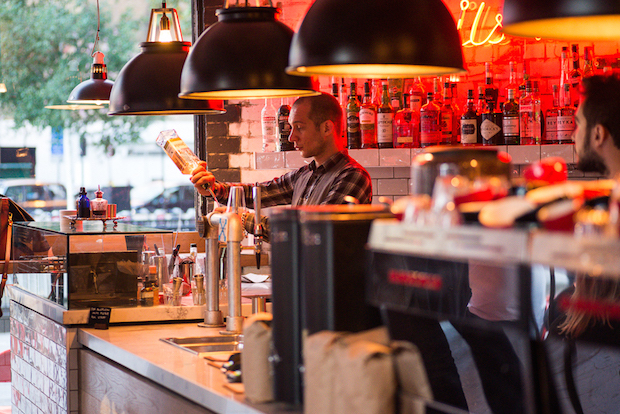 The loud music, as well as the coffee, is what we are known for. We want to create a buzzing and youthful image. People walk into the store expecting loud music and a good atmosphere and it keeps them drinking. 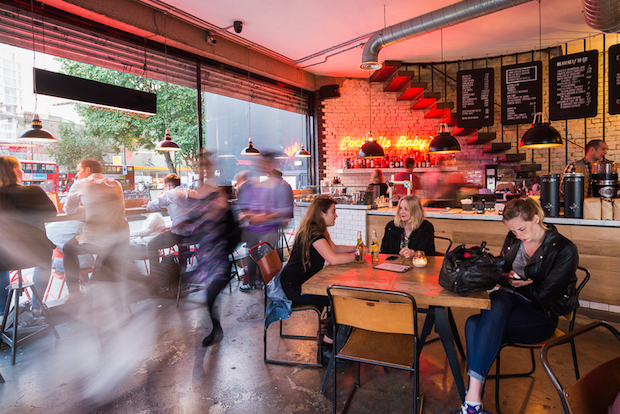 Shoreditch Grind is one of the most popular coffee shops and bars in East London because aside from offering a great service, the space has a great vibe. 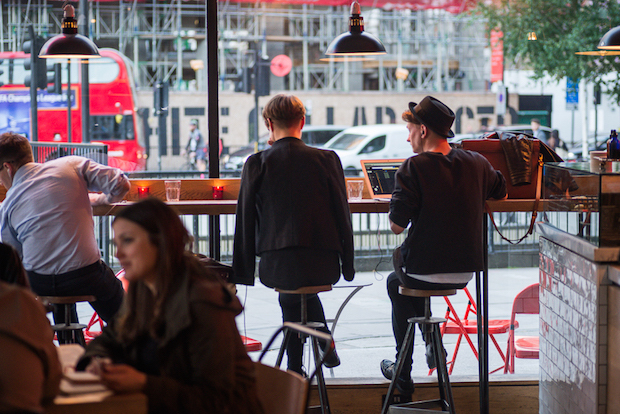 If the vibe is good in store people want to hang around and in hospitality this means more sales. It’s important because it creates an atmosphere that makes people ideal consumers. For example, playing upbeat music in the evenings makes people happy and continue drinking! Setting the right mood can mean the difference between having a busy night or an empty space. You have to think about how you want the day to go. Play fast paced music and everything feels quicker; play slower music and everyone is more relaxed. Mood differs with the time of day so we try to play something chilled to get the morning started- at the moment we are playing a lot of reggae. At lunch time we play something slightly more upbeat- usually classic rock. In the evening we go for electronic dance music. It’s important to decide what type of customer you’re aiming to reach out to and compile a playlist that will complement their visit. The biggest thing we consider is that it’s likeable, you have to think about the average customer. This is especially important because we like to play our music so loud! It’s important to be memorable and also flexible. If you see people aren’t enjoying the music, or you can see groups starting to show up you need to play faster music or music people can sing along to. As well, if the crowd you have in is looking for a quiet night you have to roll with it because you can’t force people to listen to dance music if they want to relax. You have to know how to read the customers. Music has certainly helped to establish an identity for our brand. If people like the music that you’re playing they’ll stay or they’ll come back again. If you get the vibe right people will want to stay because they are enjoying themselves. What advice would you give to someone looking to use music in their space? Keep it consistent. I think that’s the most important thing. If people like your music and like your brand then they’ll come back. If you change your brand too much people won’t know who you are. Stay true to the brand you want. Keep the music the way you want it and there will be people who enjoy it.